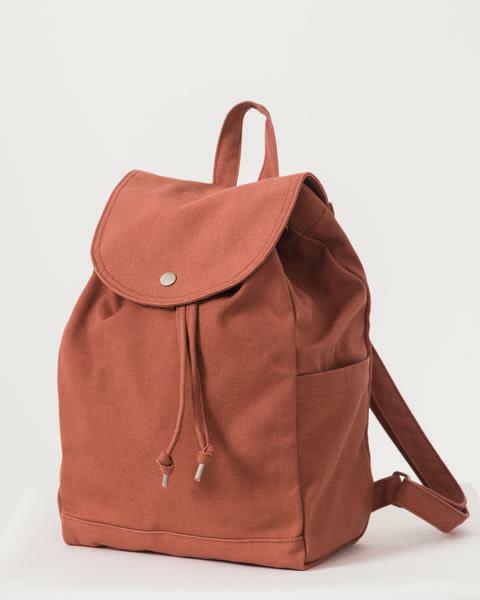 A simple canvas backpack by Baggu for daily essentials. Roomy, but still neatly sized. One interior and two exterior side pockets. Drawstring and flap closure with metal snap. Size: W 10.5" x H 15" x D 5"